The use of different types of wood for designing ornaments as well as flower and animal motives has always been a symbol of extravagance and luxury, as evidenced by the majority of historic furniture and pianos decorated with precious inlaid work. Empress Maria Theresa and her husband, Francis I, Holy Roman Emperor, passionately collected plants for their magnificent gardens and monumental greenhouses. The empress turned Schönbrunn Palace into an imperial summer residence and the glamorous heart of life at the court. Leading statesmen and major personalities from the world of art and culture were guests at the palace. Schönbrunn’s Baroque garden was a grand representation of the court and a continuation of the impressive interior projected to the outside world. The painter Johann Wenzel Bergl, famous in the 18th century, decorated several of the rooms on the ground floor with plant and animal motives that reveal a love for detail. The nature-loving Empress Elisabeth (Sisi) also delighted in the magnificent gardens and mural paintings in her later years. To this day, the rooms designed by Bergl remain among the palace’s three most sumptuous room ensembles. This instrument is an homage to the magnificent gardens and mural paintings of imperial luxury and an enchanting snapshot of nature. 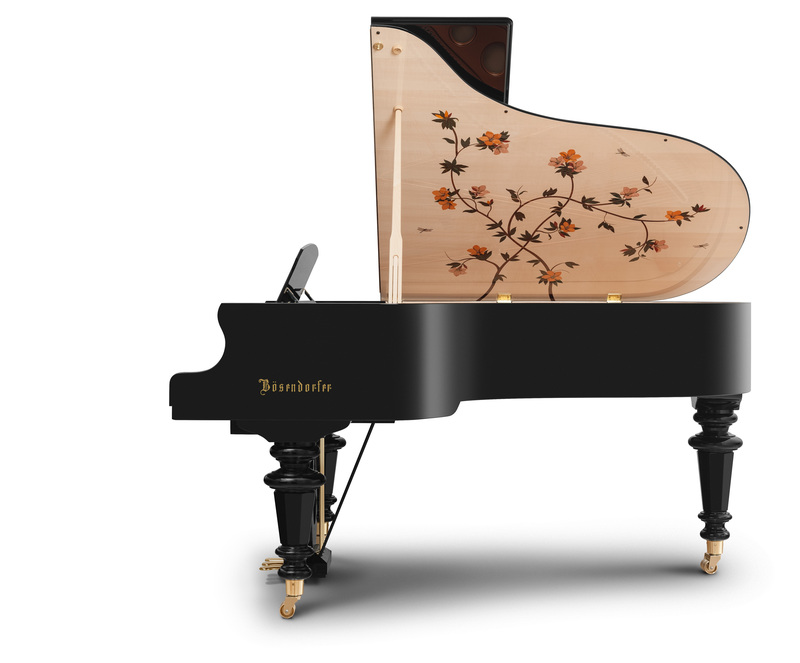 Limited to 18 Model 200 grand pianos in polished black, each instrument from this series is given an individually numbered brass plaque.